Do these names ring a bell? Zdeno Chara, Wade Redden, Bryan Berard, Roberto Luongo. These are all players who you are known for trading away and making the teams you managed worse. You drafted Rick DiPietro 1st overall instead of drafting Danny Heatley or Marian Gaborik. You traded 2nd overall pick Jason Spezza for Alexei Yashin. You are famous for these disastrous moves (for balance, here are the moderately successful ones). You coached the Adams Division champion Boston Bruins in 1990-1991. Your hometown Bruins were up 2-0 after winning both games at the Boston Garden. 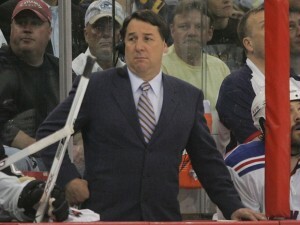 Then there was the guarantee by Kevin Stevens, a Bostonian like yourself, who guaranteed a series victory for the Pens. You lost four straight games and went home. The Pittsburgh Penguins went onto win their 1st Stanley Cup. We know that NBC tells you and Jeremy Roenick to create as much controversy as possible to attract viewers, but why don’t you do what other people in your position do and analyze? Instead of going on tirades, break the game down so fans can learn and become more educated about the game of hockey. People don’t tune into NBC to watch you in between periods. NHL fans want to watch hockey to see the superstars that the league has to offer. Keep that in the back of your mind before you bash Sidney Crosby. The NHL has the ability and approves every analyst who is paid to be on NBC. Since the NHL has done nothing since you commented and said that you hope another player hurts Crosby, they look to be favoring your comments. In my opinion, until you are let go or punished by NBC, the NHL is backing your comments. You only said what you said to impress the Philadelphia Flyers and their fans since you were on one of their radio stations. The Pittsburgh Penguins should refuse to admit you into the Consol Energy Center. They should also refuse to answer questions from any hockey analyst affiliated with NBC until you are terminated from your position or apologize. You had the audacity to make fun of Crosby’s concussion situation when no one makes fun of Marc Savard in Boston who still hasn’t returned from his concussion problems. You wouldn’t go on NESN (New England Sports Network) and call Patrice Bergeron or Savard a punk for their concussion issues. Sidney Crosby actually makes you money. He writes your checks. If there was no Crosby, the NHL would not be what it is today. 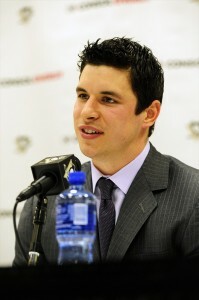 If Crosby’s career ends due to another concussion, the number of NHL viewers will drastically suffer. The NHL needs to find analysts who respect and appreciate the game of hockey. I know hockey fights and bone crushing hits attract viewers, but the purest hockey fans tune into watch goals being scored by superstars like Crosby. Superstars attract viewers in any sport, sitcom, movie or reality show. The stars are the ones who make the money for everyone else in the world. If the NHL knew what was best for the league, they would relieve you from your analyzing duties on NBC, Hockey Night in Canada, and NESN. They better schedule you to cover another team besides the Pittsburgh Penguins.